Offering you a complete choice of products which include pretilachlor 50% ec, glyphosate 41% sl and metsulfuron methyl 20% wp. 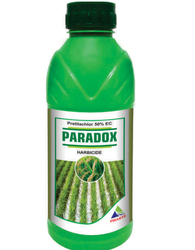 We are providing an excellent quality array of Paradox Herbicide(Pretilachlor 50% EC) to our prestigious clients. Offered range of products is formulated as per the industry defined parameters using high-grade ingredients and the latest technology. Our offered range of these products is selective pre-emergence broad spectrum herbicides with excellent action against annual grasses, sedges, and broad leaves weeds. Our offered products are available in various packaging option as per the requirements of our clients. 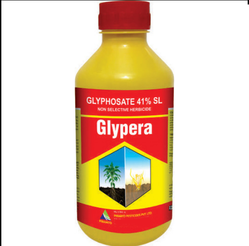 We are instrumental in manufacturing a wide range of Glypera Herbicide(Glyphosate 41% SL) for our esteemed clients. Inactive when it comes in contact with sod so it is very safe to environment and sod. 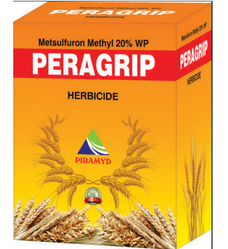 Backed by the in-depth experience and knowledge in this field, we are actively engaged in providing an all-embracing assortment of Peragrip Herbicide(Metsulfuron Methyl 20%WP) that is used for the control of predominantly broadleaf weeds of Wheat. Processed using top-notch quality ingredients and latest techniques, this product is formulated carefully in order to meet the set universal standards.